Bluffton, Ohio is conveniently located off I-75 and just a short trip to US-30. Our villas are less than one mile to I-75, Exit 142. Findlay and Lima are within approximately 25 minutes of Bluffton and offer additional opportunities for shopping. Quick access to two major highways mean you are a short road trip away from destinations like Toledo, Columbus, Fort Wayne, Dayton, and Cincinnati. Our apartments are a short distance to major employers including Marathon Petroleum, Ford, Cooper Tire, St. Rita's Medical Center, Grob, and more. Bluffton is home to several medical facilities, including an emergency room, doctors, optometrists, and more. Local medical providers continue to invest in our community and expand their services. Bluffton Hospital provides emergency room access, general medical care, specialized care, and more. Bluffton is home to several doctors and nurses. Vision care from local optometrists at Family Eye Care Clinic on Main Street. Dental care available in downtown Bluffton. Our town is home to quality education, both at Bluffton Exempted Village Schools and Bluffton University. Bluffton High School met more than 80% of state indicators in its 2015-2016 school year. 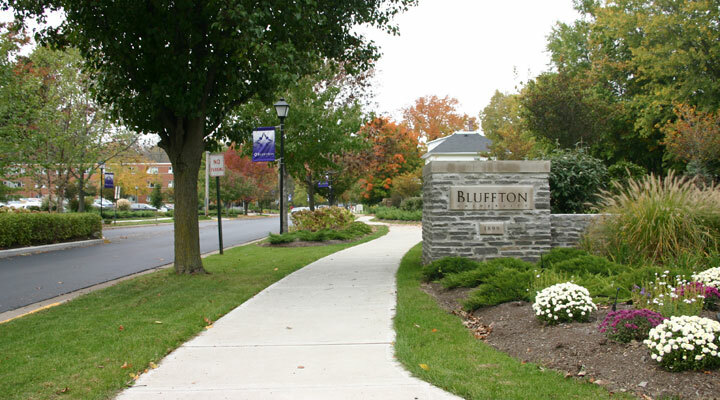 Bluffton University offers undergraduate, graduate, and continuing and professional education programs.